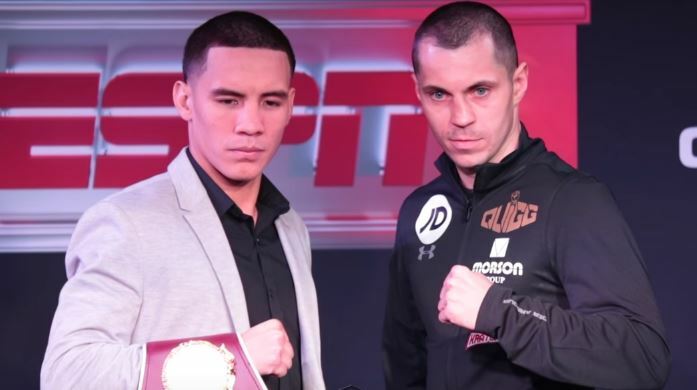 WBO featherweight world champion Oscar Valdez defended his title tonight but was made to come through significant adversity from Englishman Scott Quigg in order to do so. The main story going into the fight was Quigg missing weight by an incredible 2.8lbs on weigh-in day. A significant amount of weight for any professional fighter to miss by, let alone a boxer in the smaller weights like featherweight. Quigg was fined 20% of his purse for his troubles and had no chance of capturing the WBO title accordingly. What compounded the story even more was that Quigg did not even do a same day weigh-in check on fight day – which some thought could have jeopardized the fight entirely. Valdez was having none of it however and was determined to fight Quigg. He ultimately won a unanimous decision but only after a bloody, gruesome battle. Indeed the featherweight division is a real shark pool at the minute, so there shouldn’t be too much trouble lining up another strong opponent for Valdez. What a fight tonight, though.